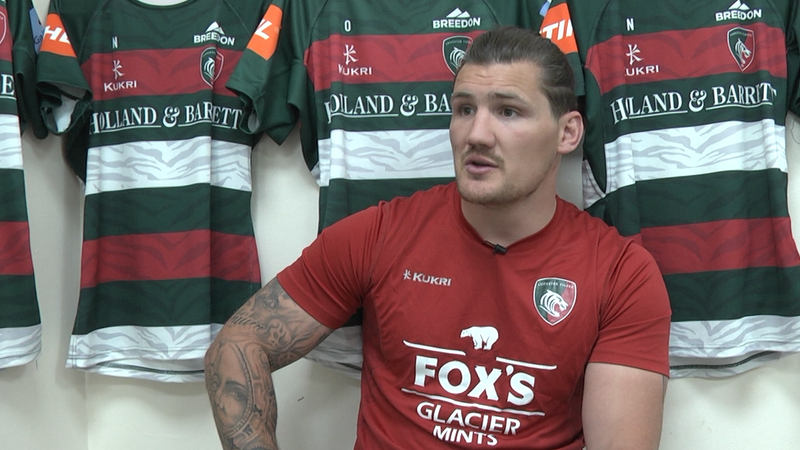 Leicester Tigers’ season ticket holder Elaine Bjorck was drawn as the lucky winner in our Season Ticket Extra competition to fly out with the Tiger' First team for their Round 3 Heineken Champions Cup fixture against Racing 92 (Sunday, December 9). 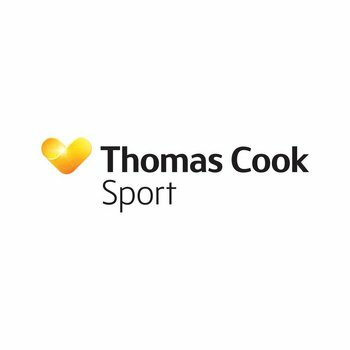 Courtesy of club partner Thomas Cook Sport, Elaine bagged two places on the plane flying out to Paris with the rest of the Tigers squad on the Saturday ahead of the weekend. Along with her husband Nigel, the pair will also enjoy a stay in a three-star hotel on the Saturday evening and a special evening meal hosted by the Tigers on the eve of the game. Elaine, who sits in Holland and Barrett Stand, said: “It’s my birthday the week before so this is a great treat and a smashing prize. We have travelled to South Africa and New Zealand to watch British Lions tours, and love following Tigers away days. 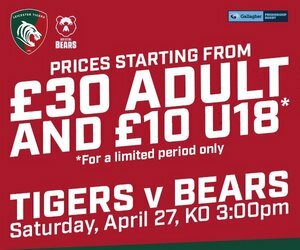 There is still time for you to join Elaine and the Tigers team on this unique supporters travel package. 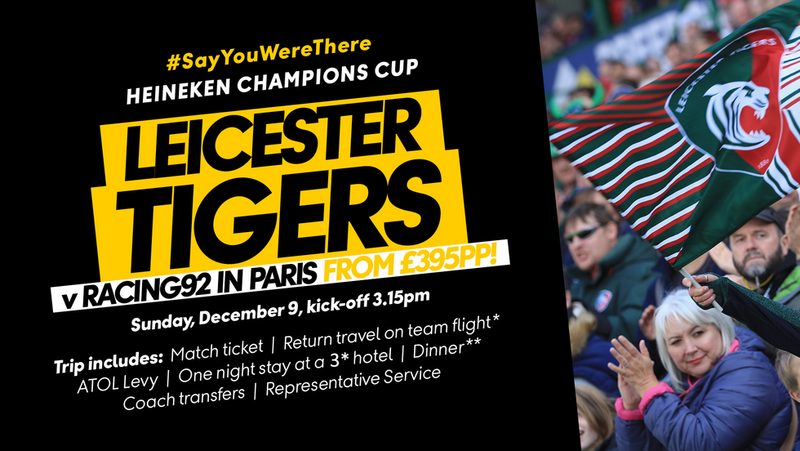 The full package costs £395 per person and includes a £45 match ticket to watch Tigers play Racing 92 at the new Paris La Defense stadium, and all hotel and stadium transfers on top of return travel to Paris and accommodation. The flight out is from East Midlands Airport on the same plane as the squad on Saturday, December 8 and the return is scheduled after the match, which kicks off at 4 local time/3.15pm UK time the following day. 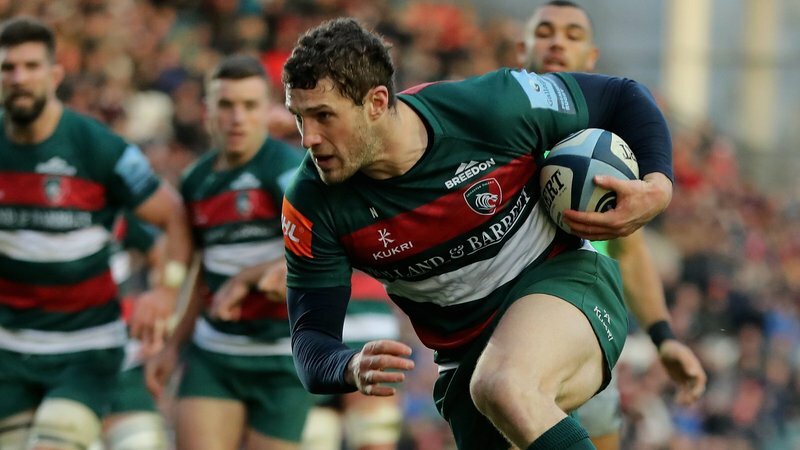 The night before Tigers' Round 3 fixture, a representative from the Tigers team will join fans for a chat and meal sharing insight into preparations for the big game.